As a discipline producing knowledge, history is historiography’s twin. And what historiography prefers are new angles and new approaches. This is basically what Justin Dolan Stovers brings us reconsidering in a connected history perspective the famous Irish 1916 Easter and its influence upon Breton nationalist movement. In its chronology of “The Bretons,” the Longman Companion to European Nationalism candidly identifies the 1916 Easter Rising as having “inspired Breton nationalists.”1 This is undoubtedly true. However, the detached tone in which this historic stimulus is often presented significantly downplays the depth and complexity of the Breton-Irish relationship. Ireland and Brittany, as well as expatriate Irish and Bretons throughout France, interacted in a variety of ways prior to the Great War and throughout the Irish revolutionary period (1916-23). Though concentrated, such influences helped to develop Breton nationalism and legitimize the internationalism of the Irish independence movement. The centenary of the of 1916 Easter Rising invites a revisiting of this relationship, its cultural roots and political connections, and the extent and nature of the Easter Rising’s reception abroad. The outbreak of war in Europe significantly altered the trajectories of Irish and Breton nationalism. Irish Home Rule became law but its application was postponed until hostilities ended. Political leaders John Redmond and Edward Carson called on their respective nationalist and unionist followers to enroll in Irish divisions of the British army; Irish and Ulster Volunteer units flocked to enlistment centers in variant displays of loyalty to Britain.10 Overall, Ireland contributed nearly a quarter-million soldiers. 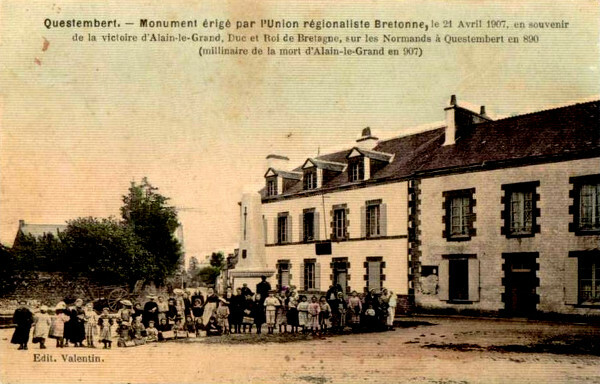 Over one million Bretons served during the First World War. However, it was their casualty rate that distinguished them within the French army; Breton losses approached twenty-two per cent – higher than the seventeen per cent national average.11 Cultural nationalists continued their work throughout the war, while the political groups they complemented became increasingly marginalized. Though not a major party before 1916, Sinn Féin organizers were curtailed by the Defense of the Realm Act, and the Breton Nationalist Party suspended its activity in recognition of the political Union Sacrée in France. 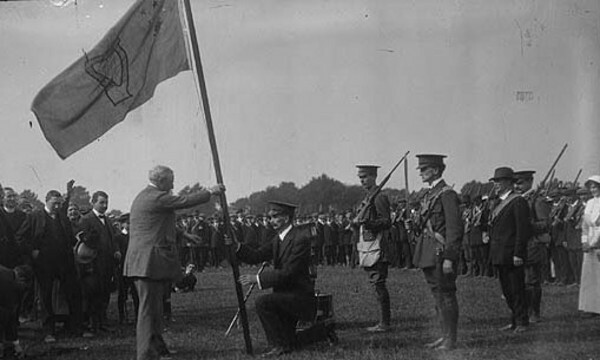 John Redmond presents an Irish flag to the Irish Volunteers ca. 1915. University College Cork, Ireland. By 1915, French officials also recognized the war’s potential to transform Irish society. “We in France don’t understand the Irish question,” wrote Cambon. 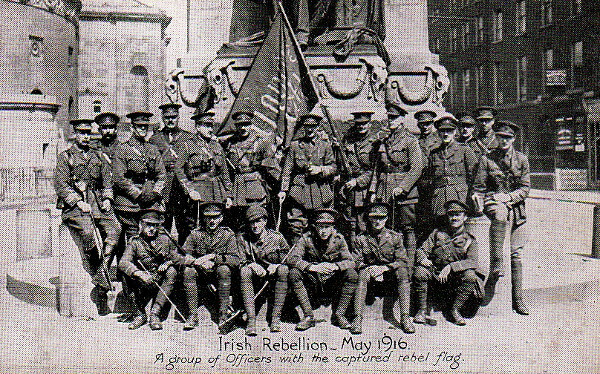 Irish separatist nationalism matured as the war progressed. A disastrous campaign at Gallipoli in 1915 resulted in extensive casualties within Irish units, fuelling resentment. Throughout Ireland, a small but influential contingent of the Irish Volunteers, ostensibly led by Eoin MacNeill, refused enlistment in the British army and insisted that fighting for Ireland did not imply service abroad. Irish Republican Brotherhood leadership, which had infiltrated key positions within the Volunteers, agreed. On Easter Monday, 24 April 1916, a small contingent of the Irish Volunteers, Irish Citizen Army, and Cumman na mBan (women’s auxiliary) numbering approximately 1,500, occupied symbolic positions throughout Dublin and proclaimed an Irish Republic. 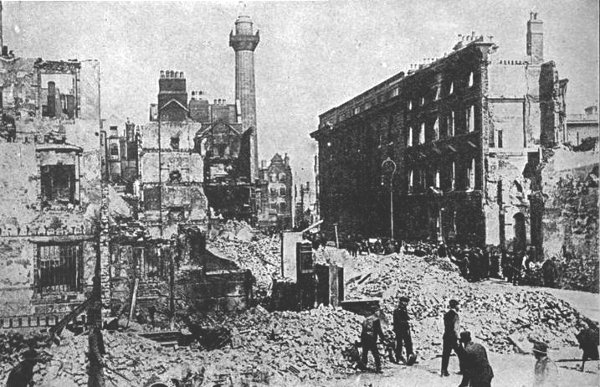 The rebels held their positions through most of the week, until shelling from British artillery, subsequent fires, and the possibility of further civilian deaths prompted Padraig Pearse, Commander-in-Chief of rebel forces, to surrender. Sackville Street (now O’Connell Street), Dublin, after the Rising. Wikicommons. Ruins of the Metropole Hotel on Sackville Street. Wikicommons. But Brittany did not follow Ireland down the path of open rebellion, nor was it believed that imitation was necessary. Instead, some viewed the Easter Rising as having served a wider Celtic cause. Louis N. Le Roux, a contemporary of Le Mercier d’Erm and co-founder of the Breton Nationalist Party, confessed that, “Easter Week was for us a sign of Resurrection and its martyrs died for us too”.25 Though a broader, coordinated and pan-Celtic departure into physical force nationalism failed to occur in Brittany, Scotland and Wales, each worked to re-establish their respective cultural programs following the Great War – often using nationalist Ireland and Sinn Féin as a model. By the autumn of 1916 nationalist Ireland had reinterpreted the Easter Rising from a foolish, opportunist and perhaps treasonous adventure to one a patriotic national redemption, which influenced a significant social and political transformation in the following years. During the 19th Anniversary of the Easter Rising of 1916 in Dublin. The tragic death of Mac Suibhne [Terence MacSwiney, who died on hunger strike in Brixton jail in 1920] renders distasteful to one any mere expression of honor, indignation and sympathy, as words are quite inadequate upon an occasion so infinitely distressing, that I felt sure I am but voicing the sentiments of all Scottish Nationalists when I say that we feel his death as poignantly as you yourselves do. Let us mourne today, but tomorrow for revenge! And I have long thought that the best revenge we can concert for all such atrocities (and the record of English rule in Ireland and Scotland is full of them) is for Irish and Scots to stand together, and shoulder to shoulder to fight to free their usurped countries from the cause of more atrocities. I am firmly persuaded that Ireland and Scotland are strong enough to destroy English rule in both those countries; but I think that neither is, nor ever can be, strong enough to effect that object unless the two combine to achieve it. Historical evidence of the Easter Rising’s immediate impression in Brittany and on Breton nationalism is somewhat elusive but signs of its enduring influence are apparent. Foundational ties in literary and linguistic culture prior to the Great War matured after 1914. 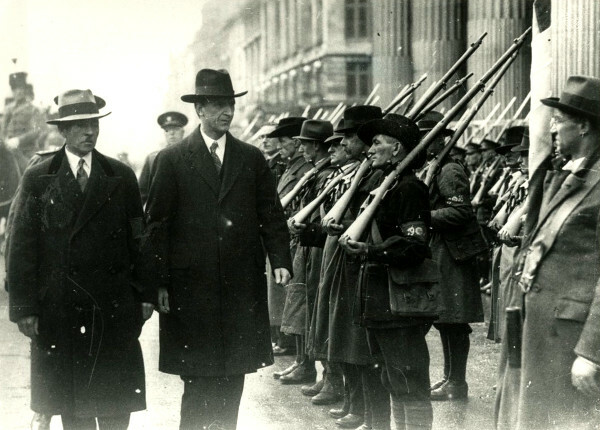 The 1916 Easter Rising was foundational in developing this relationship and radicalizing its interpretation. At times, however, it appeared that Irish nationalist influence in Brittany was nonreciprocal. This has less to do with grassroots efforts on the Continent than with Sinn Féin’s desire for international recognition by postwar powers. However, wider support and the absence of open rebellion in Brittany should not be viewed as signs of an ungrateful people. The Rising, and the sacrifice it represented inspired future generations. The now iconic May 1935 issue of Breiz Atao reminded readers that it had been nineteen years since “the Irish saved their country by shedding their blood for it.” In 1966, Bretons and other minority nationalist groups framed a pan-Celtic celebration around the Easter Rising’s fiftieth anniversary.34 Far from a minor scuffle on the fringe of the world’s first industrial war, the Easter Rising resonated beyond Dublin and, as is evident in the growing literature on its global significance, far beyond 1916. 1 PEARSON, Raymond, The Longman companion to European nationalism, 1789-1920, United Kingdom, Longman Group, 1994, p. 110-11. 2 See BERRESFORD-ELLIS, Peter, The Celtic revolution: a study in anti-imperialism, Wales, Y Lolfa Cyf, 1985; 2000; BERRESFORD-ELLIS, Peter, Celtic dawn, Wales, Y Lolfa Cyf, 1993; 2002; GREENSBERG, William, The flags of the forgotten: nationalism on the Celtic fringe, Brighton, Clifton Books, 1969; STOVER, Justin Dolan, “Celtic nationalism in the period of the Great War: establishing transnational connections” in FURCHTGOTT, Deborah, HENLY, Georgia and HOLMBERG, Matthew, Proceedings of the Harvard celtic colloquium, Cambridge, Harvard University Press, 2013, p. 286-301. 3 REECE,Jack E., Bretons against France: ethnic minority nationalism in twentieth-century Brittany, Chapel Hill, University of North Carolina Press, 1977, p. 36. 4 LE MERCIER D’ERM, Camille, Les hymnes nationaux des peuples celtiques, Paris, 1920, p. 11. 5 Celtia, Jan. 1901, on line archive. 6 HINGAUT, Abbé and VALLEE, François (Ab. Hervé), “Proverbs of Brittany”, The Celtic Review, April 1905, p. 316. 7 In the opening of his autobiography, Fitzgerald states he was “living abroad;” his editor added “in Brittany.” FITZGERALD, Desmond, Desmond’s rising: memoirs 1913 to Easter 1916, Dublin, Liberties Press, 1968; 2006, p. 11; FOSTER, R.F., Vivid faces: the revolutionary generation in Ireland, 1890-1923, New York, W.W. Norton & Company, 2015, p. 124-5. 8 Statement of Tadgh Kennedy, Irish Military Archives, bureau of military history, witness statement 1413, p. 13-14. 9 Celtia: a pan-Celtic monthly magazine, Jan. 1901, p. 1. A welcoming review of Celtia was featured in The Academy, 12 Jan. 1901, p. 24. 11 FITZPATRICK, David, “The logic of collective sacrifice: Ireland and the British army, 1914-1918” The Historical Journal, vol. 38, no. 4, Dec. 1995, p. 1017-1030. 12 LAFON, Alexandre, “War losses (France)” in DANIEL, Ute, GATRELL, Peter, JANZ, Oliver, JONES, Heather, KEENE, Jennifer, KRAMER, Alan, and NASSON, Bill (eds), 1914-1918- online: international encyclopedia of the First World War, Berlin, Freie Universität Berlin, 2014, REECE, Bretons against France…, op. cit., p. 88. 12 REECE, Bretons against France…, op. cit., p. 88-9. 13 Cambon, Paul, to Delcassé, Théophile, 14 June 1915 in Archives Diplomatiques, Ministère des Affaires étrangères; guerre, 1914-1918: Grande-Bretagne, Irlande, Mars 1915-Nov. 1916. 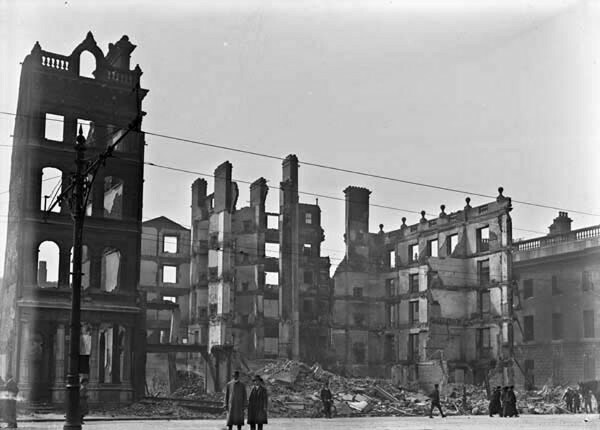 14 See STOVER, Justin Dolan, “The destruction of Dublin” in Century Ireland, 1913-1923, RTÉ. 15 ANN DE WIEL, Jérôme, The Irish factor 1899-1919: Ireland’s strategic and diplomatic importance for foreign powers, Dublin, Irish academic press, 2011, p. 218; De la Panouse to Rocques, Pierre (“Minister of War”), 25 April 1916, Archives Diplomatiques, Ministère des Affaires étrangères, guerre, 1914-1918: Grande-Bretagne, Irlande, Mars 1915-Nov. 1916. 16 De la Panouse to Rocques, 25 April 1916, Archives Diplomatiques. 17 Cambon telegram, 27 April 1916. Archives Diplomatiques. 18 ABAYAWICKREMA, Ronan, “My 1916: ‘1,200 Irish died while the Rising raged, most serving with British forces overseas’”, Irish Independent, 14 Oct. 2015. 19 REECE, Bretons against France…, op. cit., p. 89. 20 Ibid., p. 238, n. 16 citing MORDREL, Olier, “Fransez Debauvais, I,” in Ar Vro 1, Pâques 1959, p. 14. 21 O CIOSAIN, Eamon, “La Bretagne et l’Irlande pendant l’entre-deux guerres”, Dalc’homp sonj, nos. 22-3, spring-summer, 1988, p. 29-35, citing BOUESSEL DU BOURG, Yann, Dalc’homp Sonj. no. 7; MOFFATT, Bernard, La Liga Celtia, 28 Dec. 2015; LEACH, Daniel, “‘Repyaing a debt of gratitude’: foreign minority nationslists and the fiftieth anniversary of the Easter rising in 1966”, Éire-Ireland, fall/winter 2008, p. 267. 22 MOFFATT, Bernard, “The impact of 1916 reverberated beyond Ireland and the Celtic countries”, La Liga Celtia, 28 Dec. 2015; O CIOSAIN, “La Bretagne et l’Irlande pendant l’entre-deux guerres”, art. cit., p. 29-35. 23 LE MERCIER D’ERM, Camille (ed), Irlande à jamais! Edition du parti nationaliste Breton, 1919, National Library of Ireland, pamphlets, IR 300, p. 53. 24 Ibid. Also cited in O CIOSAIN, “La Bretagne et l’Irlande pendant l’entre-deux guerres”, art. cit. p 29-35. 25 “Biography of Louis Napoleon Le Roux (1890-1944)”, Carn: A Link Between Celtic Nations, 9, May 1975, p. 21, cited in n. 17 of LEACH, Daniel, “Bezen Perrot: The Breton nationalist unit of the SS, 1943-5.”, e-Keltoi: Journal of interdisciplinary Celtic studies, 4, 6 Feb. 2008. 26 Archives Diplomatiques, Ministère des Affaires étrangères: Irlande, no. 1, Z-282-1.1a 2-7-18-20, Affaires intérieures. 27 GAVAN DUFFY, George “La Question Irlandaise: Exposée par un Sinn-Feiner”, Les Cahiers, c. 23 April 1920, National Library of Ireland, p. 2282. 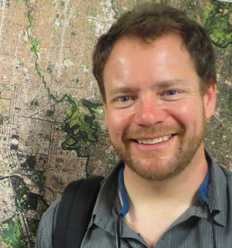 28 STOVER, Justin Dolan, “A different four nations approach? Celtic nationalism in the period of the Great War”, The Four Nations History Network blog, 4 Aug. 2014. 29 J.M.H., “Regionalism”, The Irish Statesman, 1:6, 2 Aug. 1919, p. 140. 30 GUIN, Yannick, Histoire de la Bretagne de 1789 à nos Jours: Contribution à une Critique de l’Idéologie Nationalism, Paris, François Maspéro, 1977, p. 201-2. 31 S.a., preface by Gwynfor, Evans, Breton nationalism, Denbigh: Welsh nationalist party, 1949, p. 19. 32 O CIOSAIN, Eamon, “La Bretagne et l’Irlande pendant l’entre-deux guerres,” p. 29-35. 33 MacWhite, M., to unknown [addressed to 1 rue André Gill, Paris], 2 April 1920, National Library of Ireland, Hanna Sheehy-Skeffington Papers, MS 22691. 34 LEACH, Daniel, “‘Repyaing a debt of gratitude’: foreign minority nationalists and the fiftieth anniversary of the Easter Rising in 1966”, Éire-Ireland, fall/winter 2008, p. 267-89.